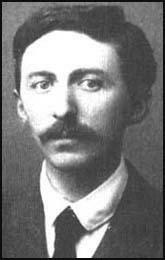 Edward Morgan Forster, the son of Edward Forster, an architect, and Marianne Thornton, was born in London on 1st January 1879. After an education at Tonbridge School and King's College, Cambridge, he spent a year travelling in Europe. On his return to England in 1903, Forster taught Latin at the Working Men's College in London. He also joined with his friend, G. M. Trevelyan, to establish the Independent Review, a journal that supported the more progressive wing of the Liberal Party. Over the next few years the journal supported social reform and criticised the imperialistic foreign policies of the Conservative government. Forster also became a member of the Bloomsbury Group that met and discussed literary and artistic issues. The group Virginia Woolf, Vanessa Bell, Clive Bell, John Maynard Keynes, Leonard Woolf, Lytton Strachey, David Garnett, Roger Fry and Duncan Grant. Forster published his first novel, Where Angels Fear to Trend in 1905. This was followed by the Longest Journey (1907), A Room with a View (1908), Howard's End (1910). Forster, also wrote Maurice, a novel about homosexuality, but decided to circulate it privately to prevent possible criticisms of his lifestyle. As a pacifist Forster refused to fight in the First World War. Instead he worked in Alexandria for the International Red Cross. There was less disapproval of Forster's homosexuality in Alexandria and in 1917 he began living with an Egyptian tram conductor, Mohammed el Adl. 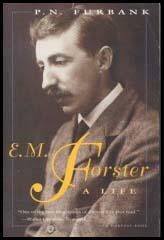 In 1919 Forster returned to England where he worked as literary editor for the left-wing newspaper, the Daily Herald. Two years later Forster moved to India were he worked as personal secretary for Maharajah of Dewas. These experiences resulted in his novel, Passage to India (1924). When Forster returned to England he wrote essays and articles on a wide range of subjects, including a large number criticizing Nazism and Stalinism. A strong opponent of censorship, Forster gave his full support to the formation of the National Council of Civil Liberties and became its first president in 1934. 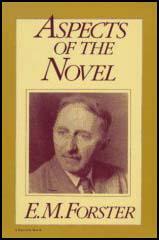 Forster did not write anymore novels after Passage to India but other books included the biography, Goldsworthy Lowes Dickinson (1934), a collection of essays, Two Cheers for Democracy (1951) the libretto for the opera, Billy Budd (1951), Aspects of the Novel (1953) and a book on India, The Hill of Devi (1953). Edward Morgan Forster died in 1970. One must be fond of people and trust them if one is not to make a mess of one's life, and it is therefore essential that they should not let one down. They often do. Personal relations are despised today. They are regarded as bourgeois luxuries, as products of a time of fair weather which is now past, and we are urged to get rid of them, and to dedicate ourselves to some movement or cause instead. I hate the idea of causes, and if I had to choose between betraying my country and betraying my friend, I hope I should have the guts to betray my country. Such a choice may scandalise the modern reader, and he may stretch out his patriotic hand to the telephone and ring up the police. It would not have shocked Dante, though. Dante placed Brutus and Cassius in the lowest circle of Hell because they had chosen to betray their friend Julius Caesar rather than their country Rome.